Wonderful Time of the Year Bed. 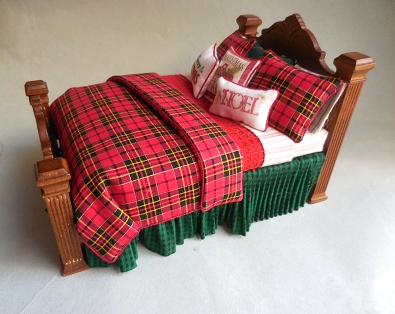 The carved walnut bed is dressed with a cozy red plaid quilt and a small green check dust ruffle. 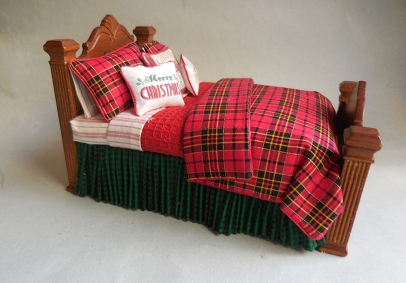 The bed has striped sheets folded over a red blanket. 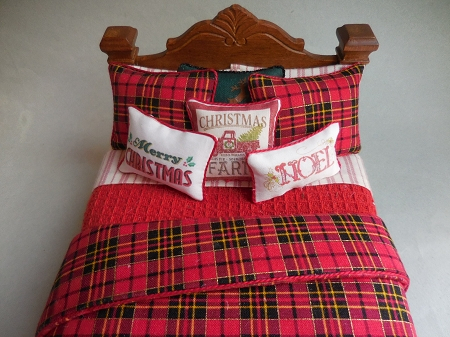 The bed has many hand made pillows, including 3 Christmas pillows. 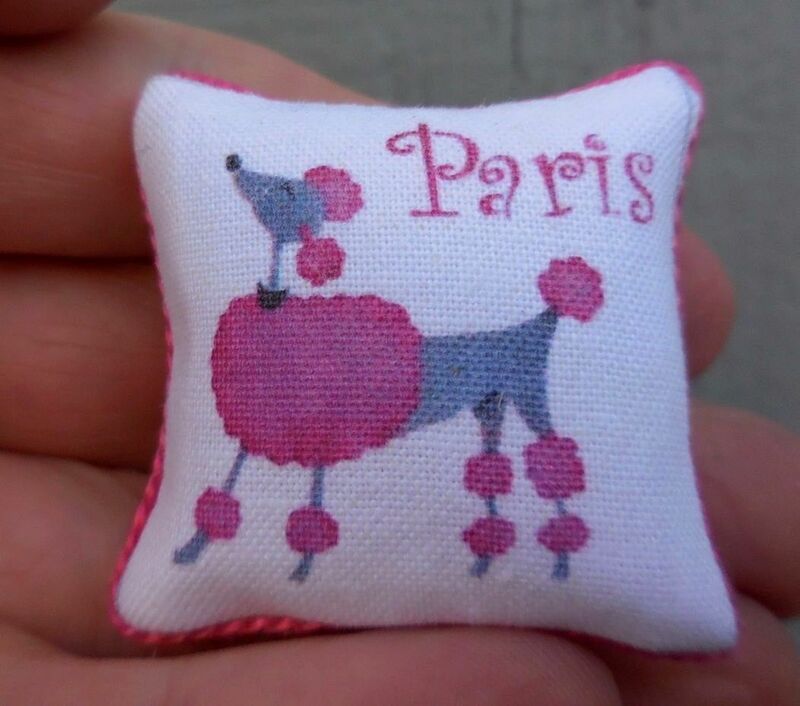 The bed is 4 3/4" tall, 5" wide, and 7 1/2" long. Everything is permanently affixed to the bed. 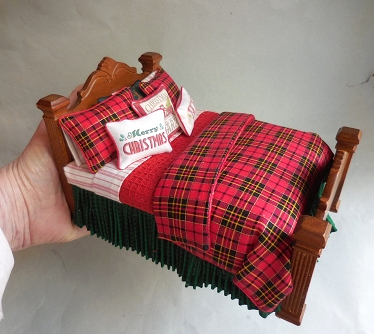 there are many great pieces of furniture to pair with this bed.